As the governing body of the College of Education Alumni Association, the Alumni Board promotes activities to support the College and works to foster the natural bond among fellow Coogs. Whether you’re a recent graduate or longtime alum, you have the power to help the College on its mission to improve educational and health outcomes for all children and families. If you’re interested in getting more involved with the alumni association, please email coealum@central.uh.edu. Include your name, preferred email address, graduation year(s) and your current/most recent employer and job title. Henry serves as director of talent and support services for the Spring Branch Independent School District after working for nearly 20 years as a principal and assistant principal. He has a bachelor’s in education from UH, a Master of Education from UH-Clear Lake and is pursuing a Doctor of Education from UH. 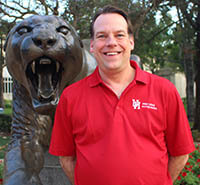 He is the immediate past president of the UH College of Education Alumni Association and past president for Region IV of the Texas Elementary Principals and Supervisors Association. 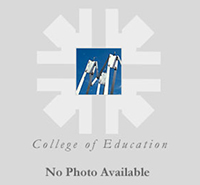 Hawkins serves as an associate professor in the UH College of Education’s Department of Educational Leadership and Policy Studies and directs the Ed.D. in special populations program. During her 30 years of service to the College, she also has been an associate dean and chair of the Department of Educational Psychology. Her research activities focus on systems change in educational and community contexts. She has an M.Ed. and an Ed.D. in educational psychology/special education from UH. Rep. Allen was first elected to the Texas House of Representatives in November 2004. She previously served more than 10 years on the State Board of Education. Allen worked for the Houston Independent School District for four decades as a teacher, principal and central office administrator. She holds a Doctor of Education in curriculum and instruction from UH and a certificate in administration and supervision from UH. Allen’s many honors include an outstanding alumnae award from UH. Baitland worked for the Fort Bend Independent School District for about three decades, as a teacher, principal, area superintendent and superintendent. She holds a Doctor of Education degree from UH and has served as an adjunct professor in the College of Education. She began her career in education as an English teacher in the Dallas and the Houston school districts. In 1977, she joined FBISD as an English teacher at Dulles High School. 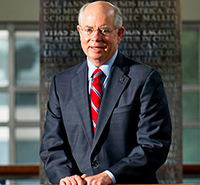 McPherson serves as dean of the UH College of Education and holds the Elizabeth D. Rockwell Chair. He has more than 40 years of leadership-related experience in higher education, K-12 public education and professional psychology. 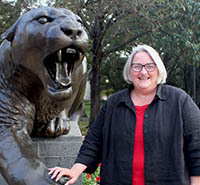 McPherson was among the first graduates of UH’s doctoral program in counseling psychology in 1987. He received the Lifetime Achievement Award in 2015 from the Texas Psychological Association and is a recipient of the APA’s Karl F. Heiser Award for Advocacy. McPherson and his wife, Ann Hodges, a clinical psychologist, are lifetime UH alumni members. Williams has more than 15 years of fundraising experience in nonprofits and higher education. She has worked for United Way for the Greater New Orleans Area, the Montgomery County United Way, Texas Southern University and UH-Downtown. She joined the UH College of Education in 2016. Williams has a bachelor’s in political science from Southern University and Agricultural and Mechanical College at Baton Rouge and a master’s in public administration from the University of New Orleans. Chase joined the UH College of Education development team in October 2017. After obtaining her bachelor’s degree in organizational communication from Purdue University, she relocated to Houston, where she worked at UH’s Hilton College. There she worked as graduate program manager and development coordinator. She currently is pursuing a master’s of higher education administration at Texas Tech University. Her research interests include first-generation student success in community colleges and increasing the number of girls and young women in STEM.